There are many reasons that lead a homeowner to loan default and foreclosure. A drop in income, an increase in housing costs or bills, or just biting off more than the borrower can chew can all lead to foreclosure. At the loan closing, probably the two most important documents signed by the borrowers are the promissory note and the mortgage deed. The promissory note is the borrower's promise to repay the mortgage loan. The mortgage deed or security agreement puts up the subject property as collateral for the loan. To "mortgage" a property is to offer it as security for the loan. The key here is that the title is in the borrower's name. Unlike a car loan, where the finance company holds the car's title until the loan is paid off, with a mortgage loan, the subject property remains in the homeowner's name. At the county records office, the property's title will indicate the borrower as the owner of the property. The lender is listed as having a mortgage lien on the property. Delinquency. The borrower falls behind on mortgage loan payments. Default notice. As required by the mortgage deed, the lender issues a notice of default to the borrower. 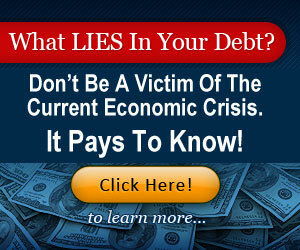 This usually happens after the borrower has fallen at least 60 days behind on payments. The default notice allows the borrower to recover their mortgage loan by paying all past due amounts. Default judgment. If the lender's collection attempts prove futile, the lender will then legally file for a default judgment from the court. This legal judgment gives the lender the right to demand full repayment of the entire loan balance—not just the past due amount. However, most lenders will still allow the borrower to reinstate the loan if all past due amounts and penalties are paid. Foreclosure notice. If the lender's collection attempts still prove futile, the lender can then file for a foreclosure judgment from the court. Borrowers often will still have the option to reinstate their loan—but at a greater cost. Foreclosure judgment. After a foreclosure period of at least 60-90 days, the court will issue a foreclosure notice if the borrower has not repaid all past due amounts, late fees and penalties. Up to this point, the property is still owned by the borrower; now it is owned by the court. Auction or foreclosure sale. The judge will order a sheriff's sale or foreclosure auction. The proceeds of this sale is meant to reimburse the lender for its loan balance and losses. If the auction amount is insufficient to meet the lender requirements, the lender will usually step in and take the property. 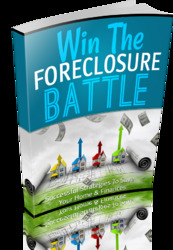 If the there is any surplus from the foreclosure, the borrower may have the option of claiming it. When foreclosure proceedings begin, it is normally after the borrower has received several notices of past due payments and default. The lender then petitions the court to begin foreclosure procedures. The borrower will normally receive a redemption period during which they have the opportunity to regain their loan. When the necessary processing period has passed, the lender obtains a final foreclosure judgment and property is normally scheduled for a foreclosure or sheriff's sale. If the lender does not receive adequate bids at an auction, it often will retain the property until it can sell the property for a sufficient price. Generally speaking, lenders are not in the market to retain or maintain real estate, especially foreclosure properties. They are normally in a rush to sell the property, because regardless of the sales price mortgage lenders often expect to lose money on foreclosure properties. Attorney, legal, administrative, brokering and maintenance costs can run into the thousand's of dollars—not including past due payments, interest and real estate taxes. Most lenders prefer to handle all foreclosure-related inquiries and solicitations through selected attorneys and real estate brokers. If the homeowner wishes to try to redeem the property, he or she will have to communicate with the attorney. Once the foreclosure is final, potential investors may try to bid for the property at auctions or make offers on the subject property with the broker. Many lenders just want to minimize their losses as much as possible. They have already made allowances for non-performing or bad loans. But by moving quickly and intelligently, many lenders can often minimize their losses and sometimes break even. Because speed and efficiency are of the essence to the lender, they tend to prefer prepared investors. They especially prefer buyers who have adequate cash or are preapproved for a purchase mortgage loan, so that they can close immediately. If you're currently a property owner, Atlas Mortgage can arrange an equity line of credit for you. This line of credit gives you a check book and a credit line, against which you can draw funds with few if any restrictions. This line of credit only charges interest on the current balance; so if you never use it, you never pay any interest. Thus, you can simply draw funds from this credit line to immediately purchase such properties. If you're not currently a homeowner, the best preparation is to obtain a mortgage loan preapproval. Atlas Mortgage can underwrite your overall credit-worthiness and as long as the property is acceptable, you can close shortly after agreeing to the purchase terms. You can obtain a list of available properties prior to the auction so that you can drive by the property to inspect it. Just contact the sheriff's office for information about scheduled foreclosure sales. It's also highly recommended that you read available county foreclosure auction instructions and attend some auctions without bidding to get an understanding of the process. You can also obtain a listing of properties in default, as well as in various stages of foreclosure, by contacting the records office or court recorder. Defaults and foreclosures are legal judgments, so they are public record. A review of those records will reveal a plethora of information, including original sales price, original loan amount, current loan balance, etc.